Should I go into project management? I wish I had a dollar for every time someone asked me that question. The worst part of it is the sheer inevitability of it. The entire question feels unreal. In nearly every conversation I have had on the topic, the decisions were already made. The people who were ambitious, who wanted titles and money, were going to pursue management anyway, while the folks more cut out of technical roles wouldn’t end up making the decision themselves – instead, they are led to a decision by someone behind the scenes, much like the stainless steel rat is forced into a room in the original short story. But this question was about project management, which leads me to explore the entire concept of project management, its role on the ladder, and whether you should consider that change. Now that is worth talking about. On the surface, the “project manager” is an empty suit – a triumph of form over substance. There are no apparent “hard” skill requirements. The outward signs of the role seems to involve breaking the work down into chunks and asking people “are you done yet?” If they are, the project manager hand the person a new chunk of work. Add coordinating the work and status reporting and you’ve described the role. It sounds so simple that a child could do it. That project managers command large salaries is either tragedy or comedy … but no one would call it justice. Sadly, in some cases, it’s even true. I call the description above a surface analysis, and I think that’s fair. If you look at what’s underneath, what it takes to actually make things happy, you may find something else interesting. The Project Manager is responsible for execution but isn’t the one doing the work. If the team doesn’t like him, they can slack off and let the project manager take the criticism from the executive suite. Likewise, the Project Manager has a deadline that came from somewhere. That deadline might be realistic, or it might not. The PM probably has multiple customers, from different business divisions, each caring less about who gets built so long as they get their piece — and it is all mutually exclusive. That might not be a “hard skill” … but it turns out to be a pretty hard skill to learn. It is possible that project deadlines come from a reasonable place. It happens. Likewise, it is possible to deal with reasonable people. 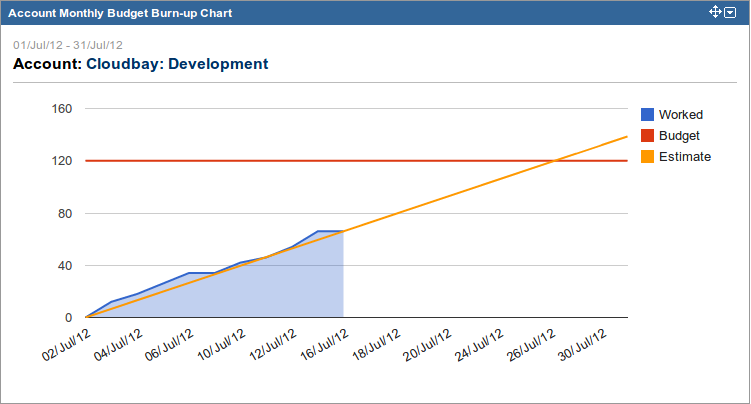 Project Managers who create visual displays of progress (like a burnup chart) can show how progress is going and ask what to do – to build less or extend the deadline. As I mentioned before, at some companies, the Project Manager holds the bag for performance. At others, the PM’s just is to report the status of progress. That is, the PM can not be responsible for execution, as he isn’t writing code, creating designs, or testing things – but he might facilitate the conversation, letting management talk to the technical team. You’ll notice the subtle pivot away from responsibility, one that I find unappealing, but it makes sense. Sometimes the project manager reports to a single person, but, more often, the project manager is the single focus for a steering committee that consists of several customers. These customers might want different things. The PM is expected to figure out what matters to whom- and who matters to the organization – and to tell some people “no.” In other cases, the PM might report to a single manager, but the PM never owns the product. Instead, the PM is a steward, focusing on execution for a project that more senior people don’t “have the time” to steer themselves. As a technical person considering a PM’s job, the key question I would be asking myself is “can I be successful here?” To figure that out, look around at other Project Managers, and what they have to do to be successful. Personally, I’m not really into denying reality, hiding the truth, or even little things like projecting over-confidence then doing occasional large schedule slips, so that most of the time the stakeholders can sleep at night. That’s just not my style. You might also look to where Project Managers go from here. In some companies, Project Managers are routinely “plucked” to be senior managers in other departments. In others, the role is a permanent dumping ground for a certain type of person. If you have ambition, it might be wise to figure out what kind of company you are working in, along with who gets promoted, for what kind of behavior. Oh, and finally, I’d be asking why the company needs a project manager at all. 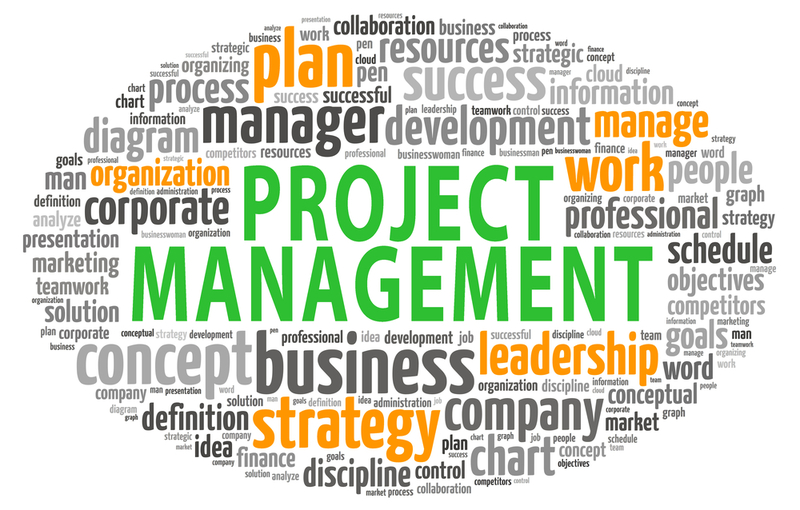 Who Needs a Project Manager, anyway? Tool like the burnup chart, co-located “whole” product teams and daily standup meetings get rid of large chunks of the project manager role. All that’s left is that difficult task of coordinating with multiple customers. The agile movement takes that piece and turns it into a job in and of itself – the Product Owner, or PO. The main difference between the PM’s responsibility and that of the PO is that the PO owns the outcome. That is, the PO decides what features to cut to make the deadline, or to extend the deadline, and is judged by the financial performance of delivery — not by what director or vice president he has made friends with. Organizations that lack trust and want control tend to organize along functions, and need Project Managers to coordinate and control the work. That’s not a good sign, as it puts the PM in a parental role against the staff, who will report it, and in a sort of child-like role with the executives, who may constrain the PM with requirements that can’t be satisfied with the existing team. In that environment, if I were to become a Project Manager, it would likely be with the intent of making the role obsolete. Interesting article. Another important responsibility of the Project Manager based on my experience is also to bring structure to the team. In many projects that I have been involved the work has been done but nobody understands the real project status, % of completion of the final product. How to report it to upper management, how to communicate issues or road blocks, how to plan for the next deliverable, how to manage resources, etc. It is much more that a burn chart and status meetings. Just Saying! 1. It is not that PMs job is unrealistic or subjective. It is very well objective and measurable and a well recognized role in organizations worldwide . 2. The PM does require hard skills - there are technical project managers who lead the team with their technical skills in the real world. 3. Like PO, PM also is accountable for the outcome - rather bigger than the PO's. The overall outcome of successful closure of a project is PMs responsibility. Being a fairly seasoned functional/technical person myself, I have asked myself the same question as Matt asked himself “can I be successful here?”. My answer is very much counting on the project environment and the key would lie within the composition of the project steering committee. My experience so far would favour projects/programme that the steering committee has truly entrusted the PM as a group with aligned organization objectives that tie with the business mission and supported the execution team with consistency and reasonable targets. This is usually done only when the PM was there and took an active role in putting together the project charter way before forming the execution team that the PM would be directly responsible. I can't see and I have yet seen that could be the case if the PM is just an "outsider" of the organization. In the case of "outsider", I would be a lot happier to serve as the Architect/Lead Implementer.